Micah: [00:03] Hello, you are listening to the WP Square One podcast. This is Micah Wood. Aaron: [00:08] And I’m Aaron Reiman and we are here with Jodie Riccelli, and she is a Director of Client Strategy at WebDevStudios. She currently lives in Philadelphia and a big thing that’s important to us, is she was on the Organizer Committee for WordCamp US in Philadelphia last year. Jodie, how are you doing? Jodie: [00:32] I’m doing wonderful. Thanks for having me. It’s nice to talk to both of you. Aaron: [00:36] Thank you. Thanks for having the time to talk to us. Tell us a little about yourself, what you do at WebDevStudios, and feel free to give us some personal stuff like what you do in your spare time. Jodie: [00:52] Sure. So I’ve been with WebDevStudios for just about two years right now. It’ll be two years in September actually. I work as the Director of Client Strategy, which essentially means that I work with clients through really the beginning of them engaging with us, all the way up into creating the full technical project plan for their project. I have the pleasure of working with so many different clients from across the globe, from enterprise level all the way on down. It really is a great team. WebDevStudios just has so much history within the WordPress community. It’s really a privilege to work for our CEO, Brad Williams and our COO, Lisa Sabin-Wilson as well. In my personal life, I, as you mentioned, live in Philadelphia, Pennsylvania. I do some work in the music industry here in Philadelphia. We work with different artists doing some management in consulting. I try to blog, but I’m pretty sure that my mother’s the only one who reads it. I do a lot of volunteer work with animals here in Philadelphia, specifically in the dog rescue area. So that’s pretty much about me. Aaron: [02:13] That’s cool. And you said right before we hit the record button, you have two dogs now. So if there’s any background noise guys, hopefully we’ll be able to edit it out. But you know, that’s life. Jodie: [02:26] I had to apologize early on because as I mentioned, we do a lot of work with rescuing dogs and decided to do that again this week. And so they’re still adjusting to one another and learning about each other and they’re both little dogs, so anyone that has animals know that little dogs have the strongest personalities. And I can’t control them. Aaron: [02:45] Yeah, you can’t keep them quiet. Well cool. What all do you do at WebDevStudios, it’s a client strategic research. What, what exactly does that entail— Because I own an agency, I think I understand, but for ones that might not? Jodie: [03:13] Yeah, absolutely. It’s definitely an interesting area because you’re involved in so many levels of the client’s project. Back in the day, I would say that I was not really technical and not really nontechnical. And I had to stop saying that because, I realized in my position that being technical is really essential and it’s crucial in order to relay the specifications of a project, from client to your development team. And so although I might not be an active developer, I think that I have a pretty good understanding of what happens behind the scenes. I really start with the client at the very beginning, when they’re first interested in working with WebDevStudios. I will do either phone calls or video calls, or actually my favorite is in-person meetings, to try to ascertain the needs of their project. Once I have that I’ll actually create the proposal as well. That is a long process that involves working with our engineering team, our project management team, our execs to put that proposal together. Once they’ve agreed to continue on with WebDevStudios, I’ll help to facilitate all of our discovery sessions, from data discovery, design discovery to backend discovery, and then create our technical project plan, which is really a lengthy document and takes a long time to put together well. And then that is really our roadmap for the client and for us to use for building out their project going forward. It’s at that point that I get to hand it off to our really brilliant team, who makes all of that stuff come to life. We have a couple other people in the strategy department here at WebDev. 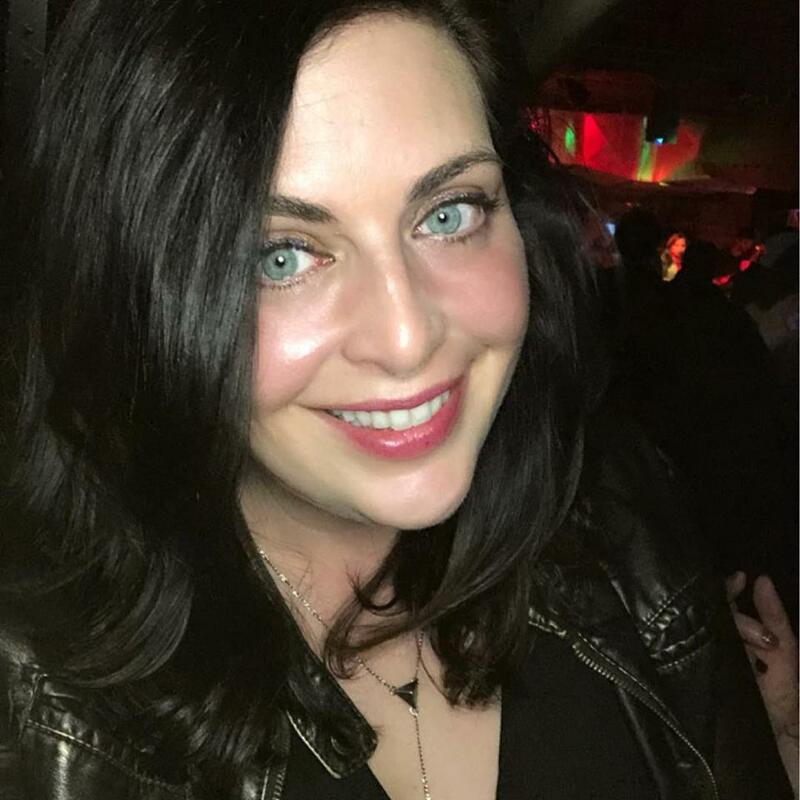 Brittany Carter is one of our client strategists here at WebDevStudios, and then John Hopkins is our client strategist over at our other vertical, which is called eWebscapes. Micah: [05:16] Awesome. So tell us a little bit more about those other branches, I guess you were just talking about. Jodie: [05:25] WebDevStudios has really grown over the last couple of years. So WebDevStudios has always really been the pinnacle of our company. It’s the brand that I think most people are familiar with and it’s been around, we’re actually celebrating 10 years this year, which I think is really a huge accomplishment in this industry. The other two verticals, eWebscapes. We created eWebscapes in an effort to answer a very common problem, where you might be a small business or you might just be starting out, you might have some budgetary restrictions. You certainly have timeline considerations. And eWebscapes can really help to answer that. It’s a little bit of, we didn’t want to say no to anyone. We wanted to be able to help everyone get a website and have their users have access to their information on the web. So eWebscapes, quicker projects, obviously much more smaller. John Hopkins really does an amazing job of running that division. Then we have Maintainn. Maintainn has also been around for quite some time. That’s our maintenance and support arm for WordPress. So from doing plugin updates to WordPress core updates, to backing up a site, for security reviews on a website, Maintainn is really responsible for handling all of that. And then finally there’s Pluginize, which is our product division. So really we have four kind of buckets right now with the company that really run the gamut and allow us to work and answer any kind of challenges that a client might be having with their WordPress website. Micah: [07:06] Awesome. So it sounds like WebDevStudios is more of the custom large project, and you go in and basically go deep with the client and help them figure out exactly what kind of solutions they want, right? Jodie: [07:26] Exactly. I spend a lot of time talking, which is perfect for me because it’s what I think I do best. I’ve always been very intrigued by talking people through how they use their website and how their users use their website. So in this role, I had the opportunity to do that at a very high level and collaborate with our team to come up with solutions for anything that might be happening within their web network. We’ve had some very interesting challenges presented to us that we needed to solve. And so for me it’s almost like putting the pieces together for a very large puzzle. How can we make this most effective for the client, but still really beautiful and user friendly, and follow all best practices that we know, including SEO and accessibility. I touch on a lot of different areas from UX, to SEO, to design, to back-end development, and try to really put this all together in a cohesive plan that the client can understand, and that our development team can use to implement the project. So talking and writing, I do a lot of those. Micah: [08:53] It’s intriguing. You were also on the, was it the Inaugural WordCamp US organizing, helping organize that? Jodie: [09:03] I was, year one and two which were held in Philadelphia. I was very honored to be part of the organizing team for those events. It was such a great group of people, and if anyone really kind of follows WordPress history and knows the story, the idea of WordCamp US, it happened really quick. Matt Mullenweg had put out a call and said that he was interested in WordCamp US, and he wanted cities to submit. I think I want to say that was in May of that year, and by July we were having conversations with him about it being in Philadelphia and it was to be held in December. So we had less than a year, pretty much six months, to put that entire event together for year one. It was quite the interesting year, because it had never been done before. I mean San Francisco was really a baseline. That had been pretty much what everyone would have considered the biggest word camp prior to US, in North America. EU obviously, they do an amazing job and they have a ton of attendees. So I’m kind of talking about North America specific. San Francisco had really been this baseline for that. And then that idea really expanded into what US is today. It hadn’t been done before. It hadn’t been in another city. We were using the Philadelphia Convention Center, which was a new experience to work with such a large venue. And just trying to put all those pieces together that first year was, it was insane and wonderful and crazy. And then by year two, I think we really had it together and year two just really went off without a hitch. Then we kind of helped with the transition to the Nashville team, because they were obviously the next city and it was held in Nashville last year. Dustin and that team, they did such a great job. It was so nice to be at WordCamp US as an attendee, and not have to do anything for the first year I was running around Nashville. It was so great. They did such a great job, and we learned a lot of lessons putting that event together. It was just, it was really, really great. And I will say this, one of my things, my most fun parts of working with the WordCamp US team, I did a lot of the work with logistics, but anything with the venue, meals, hotel, all of that. One of my tasks was to get that stuffed Whapoo to come to life. And that was the thing that I was most excited about. I think it was Alex Block who kind of jokingly said, we should get a stuffed animal. And I thought, that’s such a great idea. Let’s make it happen, and I actually gave a talk about this in WordCamp Miami, about scoping for clients and what I’ve learned by putting this Whapoo together. I had never created a stuffed animal before. I didn’t know the first thing about doing this. We had to go through many prototypes, many designs to get it right. When they arrived to the United States, I learned that they were actually classified as a toy, and I didn’t have the proper clearances to have them shipped to the US. So I learned all about trade and things that you need to get things shipped in from another country and the classifications. And it was insane. It was such a crazy experience. One of the most fun things that I ever did. I always have, I have very fond memories of looking at that Whapoo. Aaron: [12:49] That’s awesome. I’m [inaudible] appreciates that Whapoo. So I love when I go to WordCamp, I always try to come back with some kind of toys for the kids, because there’s one sponsor that has little grenades. My boy loves the little squish like a stress ball, but it’s a grenade. He loves that. And then my third kid, she loved the little Whapoo. So that was really cute. I was officially organizer in Atlanta last year, and the transition from the person that did the speakers last year, that was handed over to me. What did you guys do as far as transitioning, because you mentioned that you helped with the transition? Jodie: [13:40] The national team was added to our organizer slack, I think maybe one or two months in advance. I want to say the last WordCamp that we did in Philadelphia. They got to sit into some meetings and kind of see our conversations, obviously review all the documentation and documents that we had and then kind of shadowed us through the entire event that second year of Philadelphia. Some of the organizing team that helped with Philly, stayed on for Nashville to also assist with that transition. And those who didn’t, I was one of them who didn’t stay on for the Nashville team, made myself completely available in case there were any questions or anything that needed to be answered. And I think that was really all we needed to transition. The Nashville team was really quick. They were able to get everything done that they needed to get done and really required minimal help. You know, also you have the community advocates like Cammy Chaos for example, overseeing a lot of what was going on. She’s been involved from year to year, automaticians like Alex Block, who I already mentioned, he was another one who were there throughout the whole process. That really helped to make that transition easier. And now Nashville’s doing their second year. This year it’s going to be like old hat, and they’ll transition onto the next city, St Louis. I’m looking forward to seeing it continue to grow and just really get better every year. I’m really proud of what we started in Philadelphia because I think it was a very big project to tackle, but to see the kinds of things that Nashville was able to do was really amazing and I have no doubt that St Louis, it’s going to be spectacular there. Micah: [15:24] Awesome. It sounds like you’ve done some pretty fun and exciting things. So we all know that success doesn’t happen overnight. So I’m always curious, what was your journey like leading up to landing a job at WebDevStudios and being on the organizing team? What’s more of the background of where you started out? Jodie: [15:47] It’s really a funny story. I mentioned earlier that my husband and I do a lot of work in the music community here in Philadelphia. We always have, it’s just kind of where we met. Music is really one of our first loves and so we’ve just tried to stay connected to that community. But at one time we were really working in the music industry full time, which I find that so many people who work in the development or the tech industry, are musicians. I always find that very interesting. We were working with some artists. This was probably 2006 and my husband, he was not my husband at the time by the way, but he said to me, we need to do a website for our artists because at the time all they had was Myspace. That was really where musicians went to do any kind of advertisement on the Internet back in 2004, 2005, 2006. He said, “But they’re going to your website because I don’t think that Myspace is going to be around forever.” He was a little prophetic at the time. We went to bed that night, I woke up the next morning, he was wide awake. He had the laptop open, and he said, “Last night I couldn’t sleep. I downloaded this thing called GIMP,” which is open source image editing, very similar to Photoshop. And he said, “I got (inaudible 17:14) use.” I wasn’t familiar with it at the time. I have zero design background. He also said that he had downloaded some tutorials for building websites on this thing called WordPress. I thought it was kind of hysterical and I was looking at the laptop and trying to read through all of this, and it was that day that I built my first WordPress blog. I didn’t realize that I was going to like it. And I did, and I just kept doing it. I just kept learning more about it. Believe me; if I showed you my creations from back in the day, you would laugh heartily. I do, but at least it was a start. It was a start in the right direction. [17:57] And then about two or three years later I would say, I decided that I didn’t really want to work in the music industry full-time anymore. The whole industry was changing. I was really exhausted and I needed a new challenge. I just started applying for jobs, and by some dumb luck—that’s the only other way that I can put it—I was hired by a really wonderful web development company here in Philadelphia called Yikes. I started working with Yikes doing sales. Essentially I was a sales and marketing director for them, and it just so happens that my background in sales and the knowledge that I had gained through all of those tutorials that my husband downloaded that day was really the right combination to start doing that in the WordPress world. I had the privilege of working with Yikes for five years, and was introduced at that time to the WordPress community, which I didn’t know was a thing prior to that. I didn’t know that. I knew about WordPress as a platform. I didn’t know about this whole community that was attached to it. And so when I started working in the industry, I got to learn about it and I got really excited about it. In Philadelphia, our local WordPress community was doing so much with the WordPress meetups that they run every month, and organizing WordCamp Philly, that I just knew I wanted to be a part of it. So I started just helping at WordCamp Philly and I just thought it was great. Then one year I was tasked with getting soft pretzels in the shape of W’s and the soft pretzel company that we use here in Philadelphia did not have a W mold. So we got three hundred M’s and handed them to everyone upside down. It worked. It was great. That was one of my favorite memories. I just started helping with WordCamp Philly. That’s how I met Brad Williams, who’s the CEO at WebDevStudios, because he was really one of the founders of the WordPress community in Philadelphia. It just kind of grew from there. I loved what I was doing at Yikes so much. It’s run by Tracy and Mia. They are the owners of Yikes. Also very well known in the WordPress community. I learned a lot from them and it was really kind of my stepping stone into the industry. [20:24] Then it was just time to move on and I was fortunate enough to have met Brad at WordCamp Philly, and so I started having some conversations with him about what it would look like for me to work at WebDevStudios. Quite honestly, my position, Client Strategist, at the time did not exist at WebDev. They had other positions that kind of did those jobs that I do now, but it wasn’t with one person. They thought it was time, they were growing and I threw my ring in the hat, my hat in the ring, and was lucky enough to be hired. So then that position, my position as Client Strategist, started to grow. Then I was promoted to Director of Client Strategy and was able to hire more Client Strategists. I’m really happy and proud with the trajectory my career took. It was definitely unexpected. I studied communications, music and international studies in college. Being in the tech industry wasn’t even really an option when I was in college, to be quite frank. In fact, in my freshman year of college, I remember walking into my communications one-o-one class, and our professor saying to us, have you guys heard about this thing yet called the World Wide Web? And we hadn’t. We didn’t know yet. We knew about email. We knew that the military was using something fancy, but that was really the extent of our knowledge. And now here I am like twenty-four years later, really twenty-three years later. Aaron: [22:04] What year were you in college? Jodie: [22:06] Oh God, I’m going to so age myself. September of 1994. Now everybody can figure out how old I am. That was my freshman year of college. It was just getting its legs at that time. Aaron: [22:24] You probably had an email address I’m assuming in college, right? Jodie: [22:29] We did, we had an email address, so we knew about email. Aaron: [22:32] And you had to use probably Pine, or some kind of terminal type thing to check your email. Jodie: [22:39] I don’t remember how we even accessed it, to be honest. Here’s a funny story. My mother was a college professor at the university that I went to. I remember getting into college. I came from a small town, so when I got to college and I got an email address, I was so excited because I just thought it was literally the best thing ever. And the first thing I did was emailed my mother a shopping list of things that I needed for my dorm room. I ran to her office and I was like, mom, I just emailed you with this is the coolest thing ever. And she said, Oh Jodie, I didn’t even have a chance to check it yet, let me check it now. And she picked up her phone to check her voicemail, because she wasn’t even really familiar with what it meant to email somebody. It was all a new and foreign concept and really in twenty years it is now my career. And that to me is amazing. Aaron: [23:30] That’s kind of me too. I mean, kind of stumbled into the web stuff. So, concerning strategies. We have a strategy guy and we have a guy that basically shakes hands, his name’s Adam, and then a client is ready for a website. Adam says, hey, go talk to Brett. And Brett is kind of our strategy guy and he builds the proposals and stuff like that. Do you guys use any type of tools to do your proposals? Jodie: [24:05] I have so many tools. We use something called Proposify currently. It’s great. It’s a really great tool. I’m going to be honest, I love it and I just don’t think there is a perfect tool out there yet. I’m waiting for somebody to create exactly what I need. Our CRM was called Prosperworks, it’s now called Copper. A google product. I love it so much because it seamlessly integrates with Gmail, which is what we use for our email here at WDS. Most of those things are Google products and they just work really brilliant together. What I want is a proposal software that integrates with Copper so that the CRM, the proposal software, and my email somehow can all magically talk. Now I know you could create a lot of things with Zapier. And by the way, I’ve never known if I’m saying that correctly. I’ve been Zapier or Zapier. It’s not perfect. It’s not a perfect solution. While I love Proposify, because I think for me the thing that I love about it the most is that you get some real data about what is being viewed. That’s really helpful and continuously trying to improve our proposal process. Aaron: [25:29] That’s awesome. I feel like I’m doing something right because we use, I can’t even say it. Micah: [25:40] He has to say it. That’s part of the game. Aaron: [25:42] Not going to do it. Then we use Copper. I recently got an email from Copper, almost deleted it because I forgot that ProsperWorks, they did the whole rebranding, and I’m like, who signed me up for this? And then I’m like, oh wait, that’s right. I remember that now. You do your proposal and then they accept it, do you guys do a statement of work and a PSA also? Jodie: [26:16] We have our Master Service Agreement, our MSA. The first step is really the proposal, accepting of the proposal. From that point we would go into a project kick-off where they’re introduced to the team. At this point they would have already had a copy of our MSA for their team to red line. Some of the clients, the majority of the clients that we deal with at WebDev have legal departments internally or on retainer. A lot of the contracts need to kind of go through that legal review process. I try to give them the MSA early, in order to do that so it doesn’t hold up kick-off. When kick-off happens, we would have the final signature on the MSA. We go through our kick-off process. Following discovery, is when they get the project plan, which is really the Bible and what I consider to be the source of truth for the project. It is like the estimate on steroids essentially. Everything that was decided upon during discovery down to even the most minuscule details are outlined in that. And they need to sign off on that. That’s really what the MSA refers to at that point. Quite a few documents. Aaron: [27:33] Our proposals started off like almost just a handshake. Then it turned into a two page proposal, and now the proposal were seven, eight pages. Then we’re like, okay, we need, we need some kind of software to do that because that’s not manageable. And then we got into the, the PSA’s and a statement of works and stuff like that. It makes sense though as our business has grown, we’ve needed I guess more safety nets, for us and for the client. It all makes sense though. That’s pretty cool. Micah: [28:12] You got your degree, you said in communications essentially. Obviously you are doing lots of communicating with clients, and communicating and organizing with WordCamp US and all those different things. What would be a few tips that you could give regarding communication, particularly in regard to clients, for all those freelancers out there who are trying to make sure they do things the best they can. Jodie: [28:44] Great question. You know, it’s funny. College was great, I loved school. I would go back tomorrow if I could afford to, but I think my real training, my real world training came, when I worked for, well two jobs actually. Following college, I joined something called Up with People. I don’t know if you’re familiar with it. It was definitely more talked about back in the day. I think even South Park did an episode making fun of it. That’s when you know you’ve made it. Essentially Up with People is five casts of international students that travel the world doing performances, in an effort to promote goodwill and positivity. The point of it is that as these cast live and work together throughout the course of a year that they also learn from one another a lot. That was my first job. So I graduated from college and I got accepted. I actually got hired. I wasn’t a cast member. I got hired by Up with People, and after two weeks after graduation, I left on the road for a year and I traveled all over the United States. Literally, I think I’ve been to forty-four out of our forty-four states at this point. It was amazing. I lived in a bus sometimes, I lived in people’s houses sometimes. I worked with all five casts, so I got to meet a hundred-and-fifty international students in each cast and work with them. In the cities I would find their food, I would find their places that they were going to live, I would set up the venue for their shows, I would do so much. So I would go to a city six weeks before the cast would arrive and get the whole city set up for them, so they could come do their show, made sure all the tickets were sold, did everything really. They would do their shows and then I would get on the bus with them and travel for a few more cities, and then I would get sent to another city to set up again. So I did that for a year straight. It was grueling, challenging. I was exhausted but I would not have traded that experience for the world. I met so many people. I got to see so much of the country. I worked in ways that I never thought I could ever do, and I was completely independent doing this. I came out of that year just feeling very inspired and renewed, and then realized that I was going to run into challenges that every person faces. And that is as I couldn’t get a job in my field. So I had my degree now, I had this one year of amazing experience under my belt and could not get a job. My sister at the time worked for Verizon, and she said, I can get you a job at Verizon. She was selling yellow page ads. That was when the yellow pages were still a thing. It was like a big deal. It was very ironic. I got hired at Verizon. She was lucky enough to get me a job. I was selling yellow page ads and it was a golden handcuff type position because you, when it was good, it was great. And when it was bad, it was terrible. And I learned so much about sales though, through that Verizon position because of the training that they put you through in order to do that job. It’s where I gained so much information and knowledge about how to sell to a client, which is different than communicating. It’s a form of the communication, but very different. But I got a lot of that training during that time at Verizon. Ironically I got laid off because the Internet, their online yellow pages was superseding the print version. It was kind of like this other nudge. If I go back and look at everything and how it unfolded, that was another nudge saying that you need to move to the tech industry because that’s where everything is headed. I think between that experience of traveling on the road and just working with so many different kinds of people, and then learning about sales training from those two positions, it really set the stage for me to be in the position that I am in now. Which is a very long winded way of answering your question, which is what are some tips? But I wanted to give you some backstory as to where this all came from. Aaron: [33:27] We have like three stories within the answer there, so that’s just kidding. Jodie: [33:33] Well, again, I love to talk. So to be fair, this is what I do. Aaron: [33:38] I get it. So that’s interesting. So my business partner, he does sales and he had, I don’t know if I can quote him, but it’s like the worst job ever, but he sold cell phone plans at Walmart. I think it was commission-based, so he learned a ton about just dealing with people in that environment. That’s interesting, and it’s interesting to hear the Yellow Pages going— I mean, my kids don’t know what that is. When you were a little kid and you had to go sit and eat dinner, you weren’t tall enough, what would you do? You’d go get the Yellow Pages and you’d sit on that. You don’t have that anymore, which is funny to me. The whole internet changing everybody’s lives is definitely true. Well, I have a final question. Micah, you alright if I asked the question? Micah: [34:53] Oh yeah I suppose. Aaron: [34:59] If you had to go back to square one and start over again, what would you do differently? Jodie: [35:10] If I had to go back to square one and start all over again, what would I do differently? It’s a great question. This is going to sound like a cop out answer and I swear it’s not, but I’m really happy in my life. I think I was very fortunate that even when I fell flat on my face, which I did many times, those situations turned into something pretty grand and I very fortunate. I love what I do. I love the company that I work for. I have this amazing husband who I’ve been with now for twelve years. We love living in Philadelphia. We’re in the process of buying our first home in the city, which is super exciting. I love my animals: my dog Frankie, and our new rescue; her name is Aria. So I feel very privileged and that’s always good. So I don’t know if I would go back and change much, because I think that even though I screwed up a lot and I certainly hit rock bottom many times, it led me to where I am now. I wouldn’t want to change this moment at all, because this feels like the journey that I’m supposed to be on and that is very comforting to me. I’ve never been one of those people that think that there’s this ultimate goal you reach in your life and once you’re there, you’re there. For me, it really is all about the journey and just living through all of the moments, good or bad. There’s nowhere necessarily that I’m trying to get to. I just want to experience what is happening right now and I don’t think that I would be here if I didn’t do what I did then. However, to be fair, I do want to answer your question and say, the one thing maybe I would do differently slightly, maybe it’s not different, but I would do more of, is I would actually develop more. I have been kind of pushing myself to learn code or I should say the application of code now. I wish that I could be as smart as the engineers that I work with in terms of building the actual websites, because even though if I didn’t do it for a living, I think it’s a really important skill to have. So that, it would be that. Code more. Aaron: [37:35] Awesome. That actually is interesting, kind of an unexpected answer. Micah: [37:44] We have two developers here and we don’t mind that answer. And the answer is a good. Aaron: [37:54] It’s a good answer. Jodie: [37:56] I built a widget recently by the way, and I was so excited that I did it, that I had to tell everybody I worked with. It’s like, “I built a widget.” I know it may not be a big deal to all of you, but for somebody who doesn’t touch code ever, it was huge. So I’m getting there. Pretty soon I’ll be building pretty complex sites. Micah: [38:15] One of the first things I did was build a widget, so you’re already on the right path, it looks like. We really appreciate you coming on and tell us where we can find out more about you or to get in touch with you and I think you had mentioned that WebDevStudios is hiring, so maybe why don’t you wrap us up with that information? Jodie: [38:44] We are; we’re always on the lookout for the best talent. You can view our open positions right now at webdevstudios.com. That’s a great place to start if you want to find out about WebDev, and what we do there and get some more information about our amazing team. I love chatting on Twitter so you can find me at @jodie_riccelli. They’re the best places. webdevstudios.com, find me on Twitter, and if you want to be like my mother and read my blog, it’s izzabeth.com. Aaron: [39:20] Awesome, thank you. Micah: [39:20] Awesome. Appreciate it. Jodie: [39:22] Thank you both. It’s been a pleasure talking to you this morning.